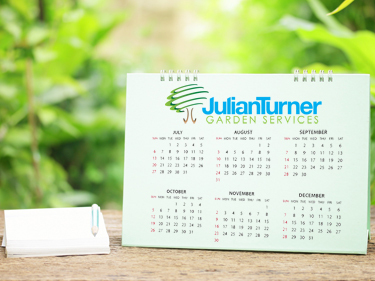 At Julian Turner Garden Services, we provide a first class range of commercial Grounds Maintenance Services for properties and businesses in Newbury and the surrounding West Berkshire area. Our gardeners are fully trained and have over 60 years of horticultural knowledge, and having been in the business for over 15 years, you can rely on us to keep your company's grounds, gardens and rest areas looking their best through the year. 02We will build you a personalised maintenance schedule tailored to your business requirements. 03Once the schedule is approved, your first visit will then be booked. Our gardeners are passionate about what they do and are always happy to discuss your garden or office rest areas and offer advice, including plant choice and garden landscaping ideas.